Associated Press — The Republican health overhaul bill in Congress would cut federal payments for low-income health coverage in California by an estimated $6 billion in 2020 and more than $24 billion in a decade, Gov. Jerry Brown’s administration said Wednesday in Washington DC. In the state of California’s first detailed analysis of the bill’s impacts on Medi-Cal, state officials said lawmakers would eventually have to decide whether to spend additional money on the program that provides health coverage for the poor. The new bill would involve many deep cuts, such as basic health care services, drug and mental health treatment, wellness checkups, ambulances and maternity and newborn care. And Social media users noticed something off about the photo of the men who met to discuss these massive changes that could take place. Look again. 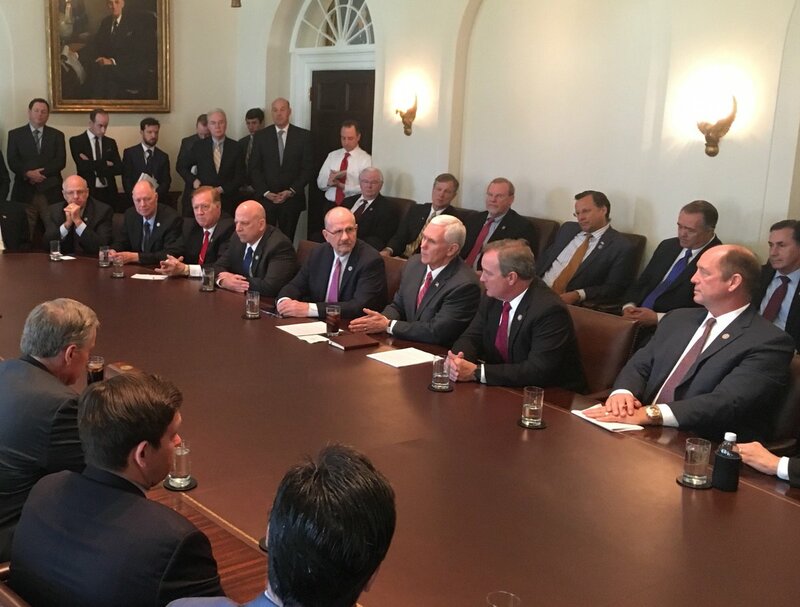 There is not a single woman in the Freedom Caucus health care negotiation.